These days, it seems like everyone is shopping online –– though you may be surprised to learn that that’s not really the case. While more and more people turn to the web for shopping, most people still prefer to shop at brick-and-mortar stores for most of their needs. But that doesn’t mean your storefront can rest on your laurels. If anything, now is the time to improve the customer experience of your store by delivering the convenience of online technology with the personal touch of in-person shopping. Here, we’ll cover how queue management for retail can help you improve the brick-and-mortar shopping experience. Online shopping continues to grow at an astonishing rate. In fact, online sales for the second quarter of 2018 were around $127 billion, with a growth rate of over 15% from the previous year. However, total online retail sales still account for less than 10% of total retail sales. So while most of the attention for retail sales is focused online, 9 out of 10 sales still occurs in brick-and-mortar shops. That means a lot of consumers still trust physical stores to make a majority of their purchases. But the continued growth of online sales demonstrates that shoppers are becoming more and more comfortable shopping online. To stay competitive, brick-and-mortar shops need to offer the convenience of online shopping with the personal touch of physical storefronts. Regardless of your industry, customers want a positive shopping experience. Queue management for the retail environment can help you deliver a personalized experience that will leave customers satisfied. Because customers have so many choices these days, you need to create a high-quality experience, otherwise, dissatisfied clients will quickly move on to the next option. Our queue management solution helps you optimize staff, improve operational procedures, and drive improvements from real-time data. In other words, our software helps you create better shopping experiences for your customers that will keep them coming back for more. One of the worst aspects of in-person shopping is the waiting. Whether you’re at a big box store, a small mom and pop boutique, or a mobile tech store, waiting can turn a positive experience into a negative one in no time. Our queue management for retail helps you minimize wait times in a number of ways—from mobile check-in, to scheduled appointment shopping, to staffing optimization. Our queue solution allows your customers to “check in” to a remote queue from their mobile device. This gives them the freedom to browse your store, visit other stores in your area, or even get a few errands done—all while “waiting” in line. What’s more, when waiting clients are free to be somewhere else it clears up limited floor space in your shop, giving other customers a less crowded, more comfortable experience. One of the key benefits of our queue management software for retail is the ability to learn from every transaction. Our data dashboard gives you real-time analytics on patterns, behavior, walk away rates, service duration, peak periods, and much more. This data allows you to learn what your customers want and how you can allocate staff to provide a streamlined, positive experience. When your business is better equipped to manage customer flow and needs, you’ll increase efficiency and productivity, minimize wait times, and provide your customers with a great experience that will keep them coming back for more. When a sale is completed and the customer walks away, how do you know what their experience was like? The best way to find out, is to ask them? Our queue management for retail allows you to collect real-time feedback and send customer surveys to all your clients. This enables you to gather valuable insights into the customer experience. Combined with data and analytics, customer surveys can help you maximize staffing resources, optimize floor layout, identify procedures that could be improved, and fine-tune services to provide exemplary customer experiences. The QLess queue management for retail eliminates one of the worst aspects of waiting in line: uncertainty. Our system delivers timely updates to patiently waiting customers via text and mobile. Customers can even request updates, ask for more time, or step out of line. You can even customize your messaging to inform customers about specials and sales or other relevant information. The bi-directional communication offered by our software keeps you in direct contact with your customers, giving them the peace of mind that they’re being taken care of. Customer surveys and on-site analytics can also help you create focused marketing campaigns. You can create tailor-made promotions and offerings to create a deeply personalized shopping experience for your customers. What’s more, you can deliver targeted communication to your customers via text, app, and mobile device—even when customers are in your store. This can also be helpful to remind customers of appointments, upcoming specials, and other events you use to drive traffic into your store. Our queue management of retail gives you the tools to develop and deliver detailed marketing in your store and directly to customers. Through real-time data, detailed analytics, and customers surveys you’ll learn a lot about how your business works—so put that information to work for you. As patterns and shopping behaviors become apparent you can allocate staff and other resources to deliver high-quality service to your clientele. 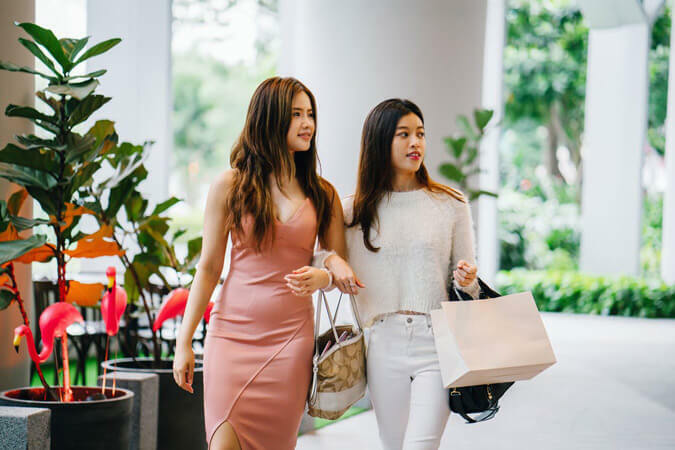 The QLess queue management software for retail will help you deliver the best of both worlds—give your customers the convenience of online shopping with the personal touch of the brick-and-mortar experience. 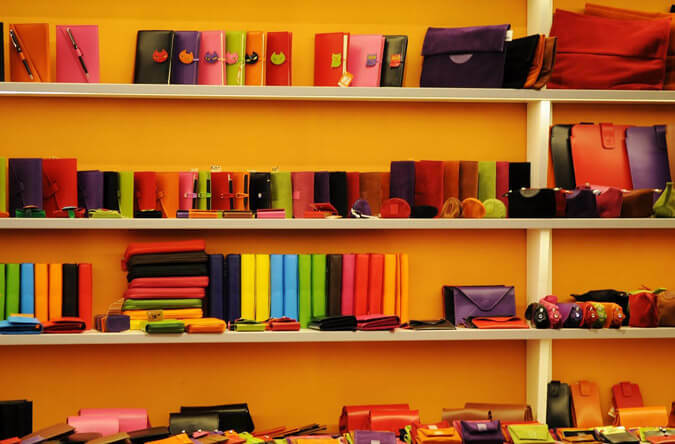 Give your customers the personalized shopping experience they want with QLess. Request your business demo today to see how our queue management for retail can help you improve your brick-and-mortar store.